The first thing that got my attention that I may not be like my peers…was my first year of High School. Suddenly, my legs were just being weird and I could not walk the two flights of stairs, to my class. And of course the lower back discomfort. By my late teens to early 20’s. I had so many aches and pains. By age 23. I was on a mission to try to figure out why. I started by seeing a chiropractor. I was trying to get some kind of relief from constant aches, pains and muscle pain/spasms. I must add here that I was also seeing my regular M.D. and presenting to him, my symptoms exactly as I was to my chiropractor. Well, I had been seeing and being treated by the chiropractor for just approximately a year when one day he said with a concerned look on his face, “Gail, you just have WAY TOO MANY aches, pains and muscle involvement for your age. Would you mind if I did some blood work on you?” (By the way, this conversation also took place about a month after my father received a diagnosis of Rheumatoid Arthritis). Of course, I said, “GO FOR IT, DOC! !” He sent me to a local Hospital to have many, many samples of blood drawn. Then my blood was sent off to the Mayo Clinic. The results were negative on the RA and everything else…except for one that came back positive. HLA-B27. I, of course, said “What the hell is that? ?” The chiropractor explained that it was a genetic marker/antigen that is usually found in people with the strangest name that I had ever heard. Ankylosing Spondylitis. He went on to explain what that meant and he was positive that this was what I had considering all my symptoms along with the positive HLA-B27. So, naturally I left his office with my mind racing. But with the attitude that I was going to educate myself on my new diagnosis and arm myself with the knowledge to beat this thing! How very naive I was!! That was 25 years ago. I had trouble finding ANYTHING other than what he had just told me, in his office. This caused me so much distress as I wanted to know! What, why and how can I do anything to treat this? After what was a constant series of dead-ends and the only treatment I was given was a slew of medications; some that helped, some that did nothing. I had gone from being a very active, happy person to being severely depressed. I was in love with my Tae Kwon Do but it became too painful to participate in any longer. This crushed me! I fell into a deep depression and gained an enormous amount of weight. I am happy to say that after a few years of wallowing in my depression and just basically giving up, that I smacked myself in the head and slowly, but surely, dragged myself out of that horrible existence!! I feel like this is becoming entirely too long. But, this is the first time that I have ever tried to write down my AS journey from the beginning to present time. So, I am just going to wrap this up with this: after fighting for over 24 years, I am STILL trying to find a good doctor or doctors to actually help get the treatment to help make my life easier. It is quite frustrating but I refuse to give up!! Thank you for sharing your story with us. 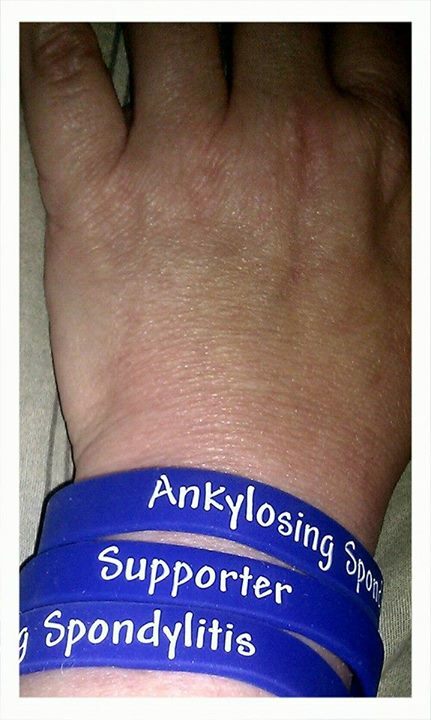 I understand how you feel trying to write it down, seems like it is entirely too long, but it is important that we all share our thought, our histroy and how we are managing our lives with Ankylosing Spondylitis. One day it will be a common word and they will know what it is and people well be able to have better lives because of everytone doing their part to raise awareness. 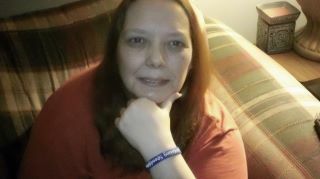 Thank you for all you do in raising awareness!! Oh and for anyone wondering about this picture. No, I am not that young anymore. LOL We were having trouble (for some reason) attaching pix to my story. I wanted to post one of the age that I was when I first started noticing symptoms and one more recent. Worst thing you can do is give and be stay inactive. Make AS your lifestyle. You should join http://www.kickas.org and get in touch with other sufferers. Its a great site. Hi, I just stumbled on this this site while doing geneological research, and was surprised to see AS and two of my family names pop up together! It is genetic, after all! My symptoms started in my knee at age 17 (I’m now 64) and escalated when I finished college and began to sit down for a living instead of being so active. Doctors put me in a back brace, I had miserable tests, was told I had “anomalies” on my tests, and by 1972, was told I was in more pain than my xrays justified, go see a shrink. I was properly diagnosed in 1980, but of course there is nothing that makes this go away, it is a chronic pain management issue. I have gradually gotten worse, with ups and downs and related autoimmune glitches, but generally I manage pretty well with daily Mobic, prn pain meds, good diet, very regular exercise (swimming, weights, biking, walking and hiking). Because sleeping is challenging, when you have to constantly roll over like a rotisserie chicken all night, I take an extra hour in bed beyond what I would do if I were actually sleeping well. An evening glass of wine with my husband helps too! My consolation is that, for most women, you don’t get all gnarly, so you might hurt, but you can still look good! I have no picture, as I just stumbled in here.